Republican leaders across the country praised today's bold Supreme Court decision definitively establishing Americans' Second Amendment right to bear arms. It's a decision that is long overdue, and the Republican Party supports. Liberals like Barack Obama have consistently tried to erode Americans' Second Amendment rights with the strained argument that while every other right in the Bill of Rights is an individual right, the Second Amendment is -- uniquely -- some kind of "collective right." This interpretation flatly defies the fact that the Bill of Rights is specifically designed to protect individual rights and liberties from encroachment by government. In short, the Bill of Rights protects people, not government. As Americans, we are all the descendants of this nations' founders who recognized that our individual liberties and freedoms are rights granted by God, not by the government, thereby making them 'inalienable.' This is a distinctly different view from the European model where the government defines, and therefore limits, the rights of its citizens. 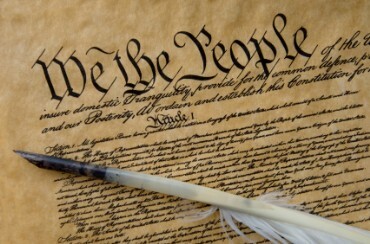 With the rights we enjoy comes the responsibility to protect those rights from erosion or encroachment by government. The Founders recognized that government's tendency is to accrue power at the expense of citizens. At the time the Constitution was drafted, the Founders, fresh from their experience in repelling the rule of an oppressive king, were confident our new government would never follow the same path of oppression. Yet others rightly noted that no government is immune from the tendency to accumulate power at the expense of people, and thereby insisted the Constitution be followed by a Bill of Rights to permanently protect the freedoms we may otherwise see diminshed as memory of the Revolution faded. Today's decision, strongly embraced by Republicans, represents a victory in what must be our never ending vigilance in protecting ourselves, and our descendants, from the erosion of the very liberties that so define who we are as a nation.